The House That Ag Built: Disney Photo Pass Plus - worth it for us! We just got back from a wonderful trip to Disneyland. I will have several posts coming up about this and including some of my favorite tips for packing, snacking and generally enjoying the trip. But I want to start with photo pass. So, why did I like it so much? 1. It allowed someone else to take the photos and let me focus on enjoying the character experiences with my son.This was huge for me. I wasn't worried about getting my phone ready and checking the lighting, I just enjoyed getting him ready to meet each of his favorite characters. 2. It let ME be in the photos as often as I wanted. I generally stayed out of the photos but joined in for a few. It was nice to have the option. 3. I didn't have to worry about photos being lost or not turning out. Or my son accidentally deleting them while playing with my phone. 4. It gave me TONS of photos to select from. I ended up with about 200 photos on my pass from our 4 days in the park. A bigger family staying for more days would have even more options. 5. I'm pleased with the quality of the photos. Some photographers were better than others for sure. And some my son just responded to better than others. We got several great options for our Christmas card. 6. I ended up loving the magic shots. I thought these would be silly, and they are, but they are so cute and fun. My son is loving the one with Olaf. 7. I didn't have to bring my good camera and risk damaging it on the trip. This would have been one more bag on the plane and one more thing to tote around the park. We had enough junk to cart around, so one less thing was appreciated. 8. 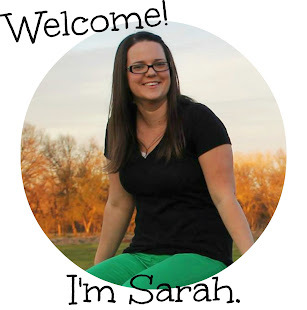 I ended up having a great time with the optional borders and signatures. These will make great gifts to family that can go right on the fridge. With the borders they look more like souvenirs than a simple photo. 9. I loved being able to review the photos at the park and decide if I wanted to repeat any photos. I could see them on the computer screen and really check for details. Now, you can have the photographers use your own phone for taking photos and get some good ones. The cast members are so gracious about this and offered many times. I did take them up on it to have some options to text to family a few times. I would prefer if there were more photographers around the park. Not all of the characters have a photographer with them. We met Aurora, Pluto and Goofy without photographers. I got photos with my phone, but would have liked to get them on the CD instead. I was also a bit bummed that they didn't take more photos at the character breakfast. They got two photos with my son and Goofy. But none of the characters roaming the meal area. It is difficult to eat and be ready to take photos so it would have been great to have more photographers there roaming. Since we stayed at the resort we took advantage of the early entry hour. BUT, I couldn't activate my pass until the park opened for the public. This meant I missed out on some great castle shots of my son with very few people around. I learned after that I could have gotten the photos taken and then added them to my pass, but I didn't learn that until later. It would have been awesome to get my pass outside the park or in downtown Disney so we were ready to go as soon as it opened. A few notes about the price and package: This package includes a CD with all the photos. There does not seem to be a limit on the number of photos. 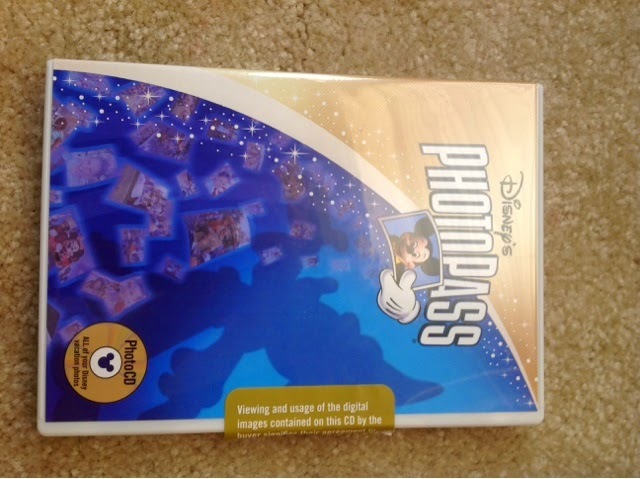 The package also included a printed photo package at character dining. You may be able to use this at more than one dining experience, but we used it at Goofy's kitchen. We got an 8x10 and 4 5x7s which seemed to be worth about $30. The package also lets you add on photos from the rides. We only added on one photo from the Cars ride since my son couldn't go on most of the rides that take photos. Shipping the CD is even included in this price. 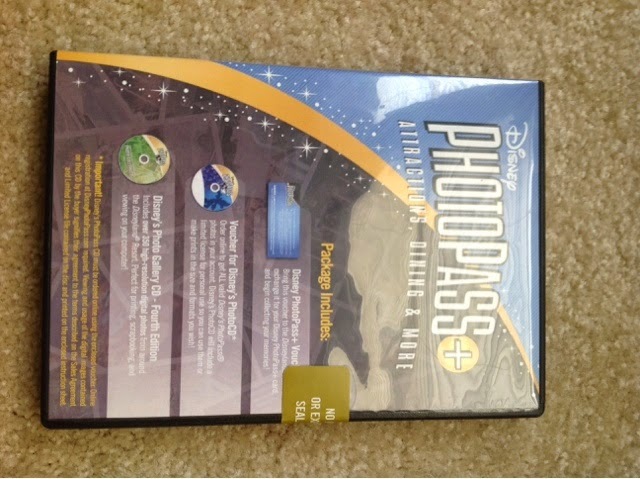 To get the $69 price you must order it 14 days in advance of your visit from disneyphotopass.com. They send you a CD and case that includes paperwork to bring to the park. You then take that to the photo shop in the park and pick up your pass. Note that we went to Disneyland, prices are different for the other resorts. Overall I really enjoyed this service and will use it again. In fact, I can't imagine not ordering the pass on our future trips.